A high-risk pregnancy might pose challenges before, during or after delivery. If you have a high-risk pregnancy, you and your baby might need special monitoring or care throughout your pregnancy. Understand what causes a high-risk pregnancy, and what you can do to take care of yourself and your baby. 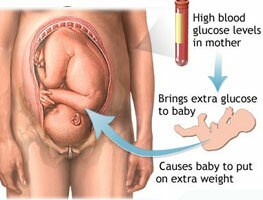 Sometimes a high-risk pregnancy is the result of a medical condition present before pregnancy. In other cases, a medical condition that develops during pregnancy for either mom or baby causes a pregnancy to become high risk. There are several risks advanced maternal age, Lifestyle choices, Medical history, Pregnancy complications.